Roko joined Girls Inc. in September 2017, and is excited to bring all of her wide ranging experiences to broaden and deepen its institutional giving partnerships. Born in Japan, Roko immigrated to the U.S. first as a three-year old with her family, and has continued to ping pong back and forth between cultures ever since. As a result, Roko developed a lifelong passion for translating and communicating complex ideas in ways that spark awe and action. 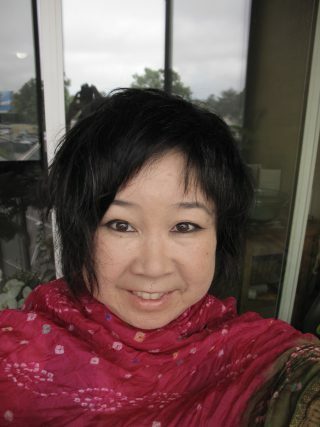 Originally trained as a visual artist, Roko later spearheaded ways of communicating issues of biculturality through a full time career as a dancer/choreographer, for which she was awarded The Pew Fellowship on the Arts for Choreography, Japan-U.S. Friendship Commission Fellowship, and a Leeway Transformation Award for women artists working in social justice. Concurrently, she became widely recognized as a highly successful grants strategist and a powerful voice on national and regional panels. Roko also has over twenty years of teaching experience, both in schools and with communities, which included work with with Asian American youth, incarcerated women, and others. Most recently, she served as the Senior Grants Officer at STAND! For Families Free of Violence, a family violence services agency where she oversaw a portfolio of over 60 grants and helped secure nearly $500,000 in new monies. Roko remains deeply invested in trauma-informed work, empowering girls, women and all peoples to thrive.